Moving Art paves the way for expression and inspiration. In June, Kajal met with organizers at DRUM–South Asian Organizing Center about their Moving Art program for young, working class artists. 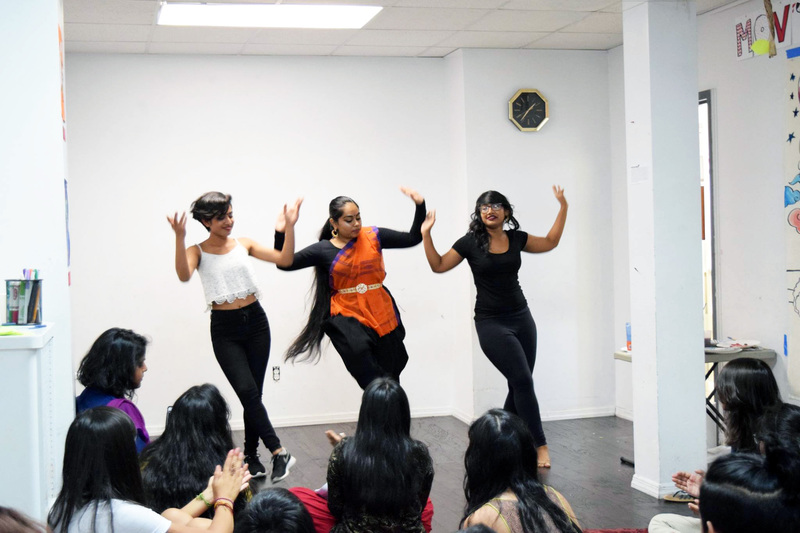 Moving Art was envisioned as a space where politically conscious artists could learn and practice ways to integrate artistic practice of all kinds with progressive activism and organizing in their diaspora South Asian communities. On Sunday July 9, Moving Art held its end-of-program gallery sharing the art that nine participants completed. Their works were grounded in the experiences of their communities and tackled issues of racial, immigrant, and gender justice. Moving Art members performed spoken word, danced, and led everyone in a collective art project imagining their neighborhoods as a “Hate Free Zone.” They also spoke about the importance of culture and art in social movements, and the work they want to continue to do in their movements. Throughout the duration of the program, members kept journals filled with weekly reflections on what they were learning as cultural workers, the stories they listened to among community members and depicted through art, and their own experiences as young women artists. 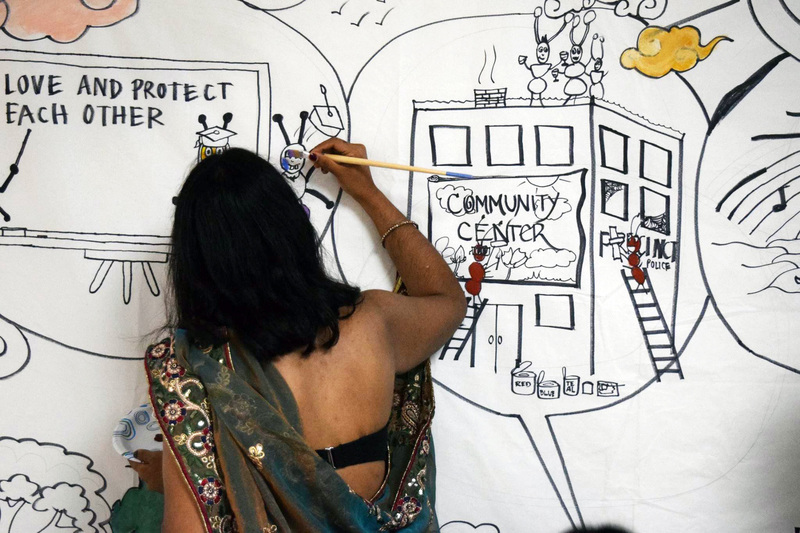 This program was a unique space where young South Asians could share and create freely. We look forward to what they do in the future. Moving Art compiled highlights from journals into a zine, available for purchase here.